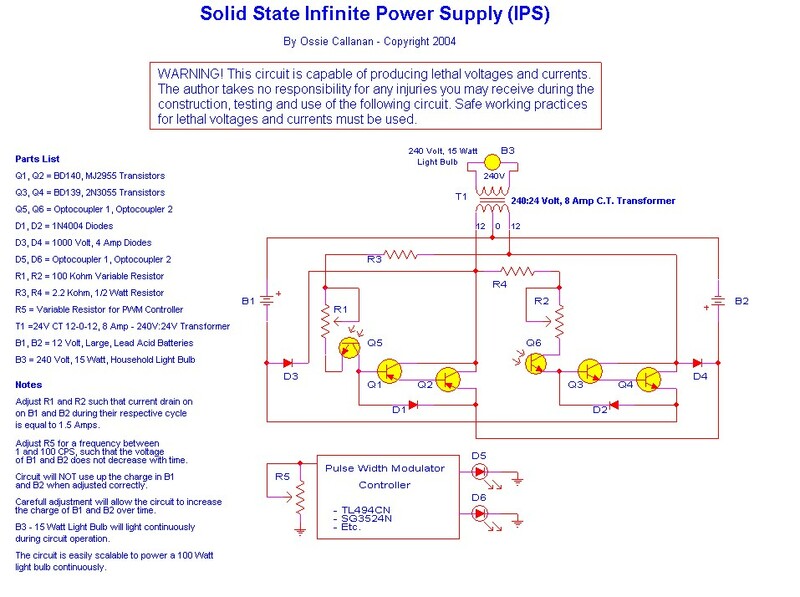 Below, the IPS diagram that I have tested, it is fully based on Ossie Callanan's original diagram. The clock input is connected to a function generator Centrad GF-763AF used as a square wave generator. Above : The voltage curves of the batteries B1 and B2 during the IPS test ( the old battery B1 seems damaged ). 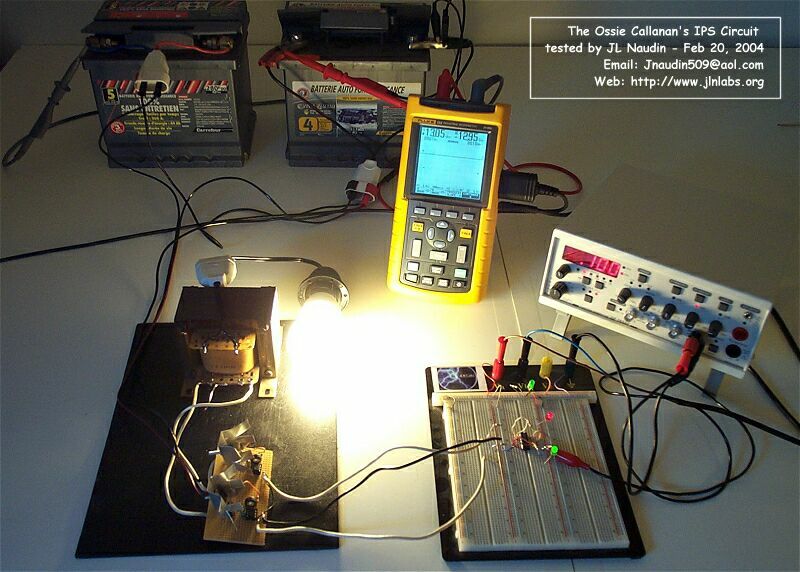 ( 02-20-04 ) Tests results : In this new test, the previous 15 Watts light bulb has been replaced with a 11 Watts Eco lamp which gives about 60 Watts of apparent light. The two analog ammeters have been removed from the circuit. 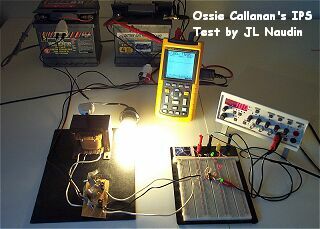 during the whole test the voltage of the batterie B2 has only dropped of 0.17 Volts ( -1.3% ) while one ampere is drawn from each battery and the light bulb brights fully at the IPS output. I have used old car batteries and the voltage drops of the batterie B1 is probably due to the failure of this old batterie.